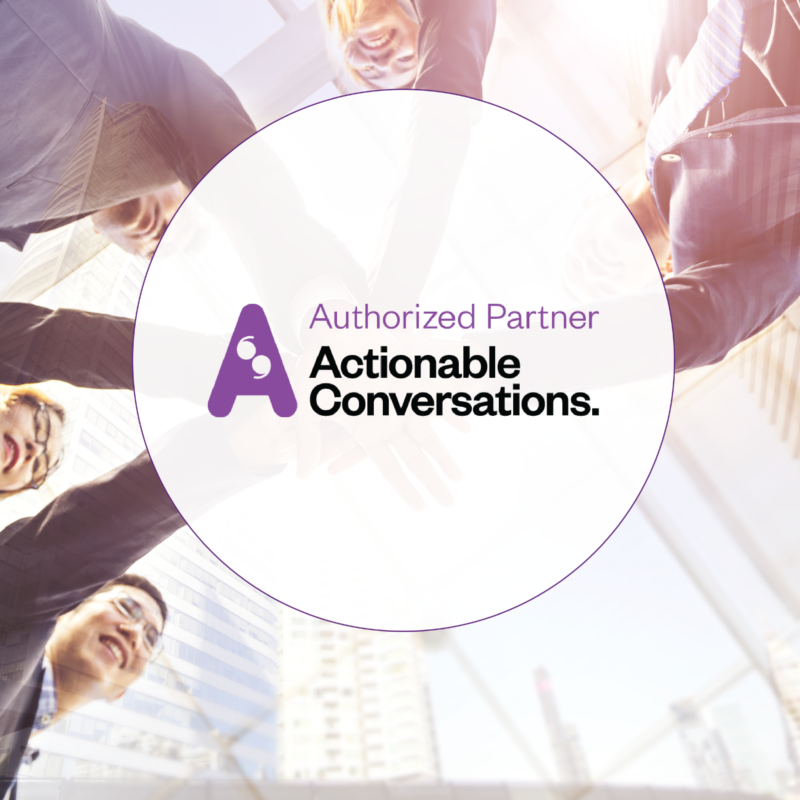 Actionable Conversations™ provide time‐starved managers with tools to build better relationships in the workplace, one conversation at a time. These one‐hour, leader‐led conversations leverage ideas from popular business books to tackle current real business challenges. The Habit Builder tracks professional growth and behaviour change through a combination of peer accountability, ramification and behavioural psychology. Get better, together, in roughly one hour per month. Learning by Doing: Learning should be collaborative, measurable and habit forming. It should be fun. It should have personal relevance and help us to be better, our teams better, and provide organizational insight into strengths and interests of the organization’s future leaders. Every month, managers will lead their teams through 60 minute conversations. Each of the conversations will utilize one concept from a popular business book – serving as a “lens” through which the team discusses a current business challenge. We provide the notes, videos and activities so even first time managers have everything they need to lead a robust conversation. Building off the group conversation, each team member chooses and commits to a “micro-behaviour change”; one small action they will do differently moving forward. They input this into the Actionable Commitment Engine App that helps them keep track of their progress. As a team leader, imagine having real-time visibility into who is struggling, who is thriving and who has checked out on your team. Think how much more effective you could be in your leadership conversations if you knew exactly who on your team needed your attention, and what to talk about. More than simply “the right thing to do,” the data now irrefutably shows that developing a more engaged workforce positively impacts virtually every business metric you’d care to measure. What makes Actionable Conversations unique is the triple impact of learner skill development, leader credibility enhancement, and real-time insight for the organizational leaders around measurable behaviour change and leader impact. All in roughly an hour a month. Through the integrated Habit Builder, you can track behavioural change through a metrics-based system to determine direct business impact. Hard numbers in real time, and the insights to do something about it. Imagine the power of being able to see – quantifiably – who is driving real change and who’s a fight risk. You will have real-time insight into your people and suggested actions with the click of a button, on any platform!